I bought a £375 spaceship – HubNut – celebrating the average! All year, I’ve managed to buy cars that were convenient rather than what I actually desired. I decided that this needed to change and spent some time agonising over what I actually DID want. That’s not easy, as I’m constantly battling the need for a car to be practical, comfortable, economical, interesting, reliable and, above all else, cheap! I’d narrowed it down to a Rover 600 or a Citroen XM. I’d already turned down one Rover 600 this year, because the folk selling it were your cartoon dodgy geezers. I’m amazed I made it out of their yard alive as I was threatening to laugh and the inanity of it all. I ended up buying the Rover 400 instead. But the 400 wasn’t doing it for me. It just wasn’t interesting or comfortable enough. It had to go. That also left me pondering whether a 600 would actually be that much better. Both are heavily Honda-based. Both struggle to offer the comfort I desired. So, I decided it had to be an XM. I asked the good people of the internet to find me a car. Most people laughed, especially when they realised how impossible my budget was. One person did not laugh. He told me where such a vehicle was and that £400 was the asking price. Perfect! In a rare burst of common sense, I actually went and looked at the car BEFORE buying it. That was the first time I’d done that for quite some time. I even got it on a ramp so I could properly poke about underneath. Apart from my finger going through one soft spot on the offside sill, it seemed pretty good. A deal was done at £375 and yesterday, I went to collect it. Andy, a friend, kindly gave me a lift in the BX I sold him. Hydropneumatic convoy! From the very start of my 80-mile journey home, this felt like a marvellous decision. 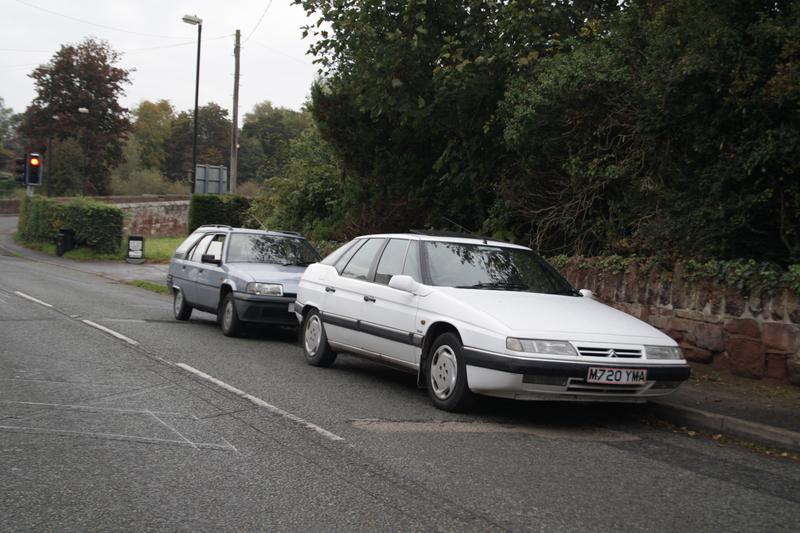 The Rover 400 didn’t ride badly, but it did jar for someone used to Citroen-comfort. While XMs still crash and bang a little over potholes, it’s the way they just absorb all over road surfaces that is truly magical. It should do 50mpg and has only 117,000 miles on the clock. It is barely run in. I usually refer to the XM as a scaled-up BX but that’s not really fair. It’s astonishing how much more nimble the bigger car feels! Hydractive suspension firms up when it detects that you’re getting a hoon on. You barely notice, but the result is a car with tremendous turn-in and negligible body-roll. You can corner at terrific speeds and it just grips. Yet it is also floaty and comfortable. Quite remarkable. Of course, it isn’t all good news. That sill needs welding up and there are a few body scuffs. There is also a complete lack of service history – though I do know that it was serviced annually by a specialist in recent years, and covered only 4000 miles a year – I’ve seen his records. The ABS seems prone to throwing up a warning light too. But, if that’s the extent of the electrical maladies, then I really can’t complain. There are some downsides to the driving experience too. My one concern about a manual is that PSA are hopeless at clutches and gearboxes. They’re always crap. That goes for Citroen BXs and Peugeot 306s in my experience. The gearchanges are always clunky and horrible, and the clutches always heavy – mainly because the cable routing works far better for LHD than it does for RHD. It’ll be interesting to see if I can cope with it. 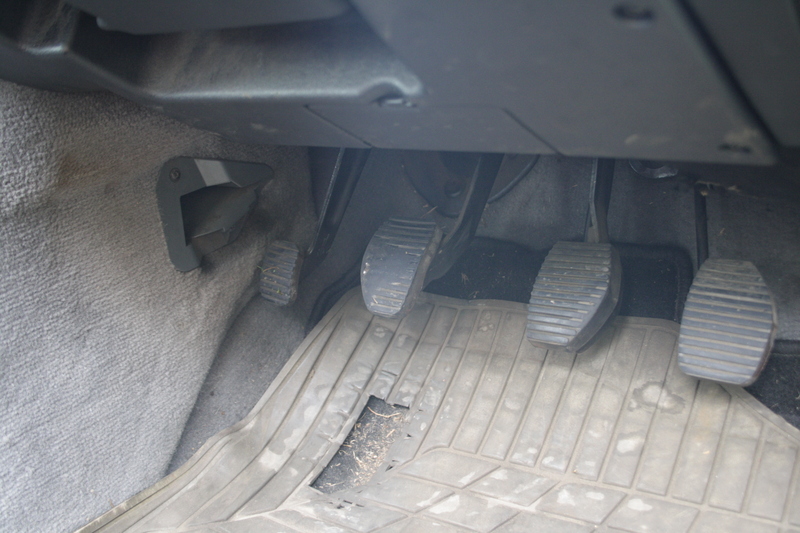 Another factor is the parking brake, which is foot AND hand operated. On coming to a stop, you must brake with your right foot, use your left hand a foot to put the car into neutral, press down the parking brake with your left foot, lock it on with your right hand, then you can finally release the brake pedal. To pull away, put it into gear, find the biting point, then pull the release lever with your right hand. Ideally, you’d use a third leg to restrict the parking brake release so it occurs smoothly – as you would with a handbrake. For this reason, many people complain how rubbish it is for hill starts. I can’t say that’s a problem. So, around town, it’s a bit of a pain – this is a large car too. 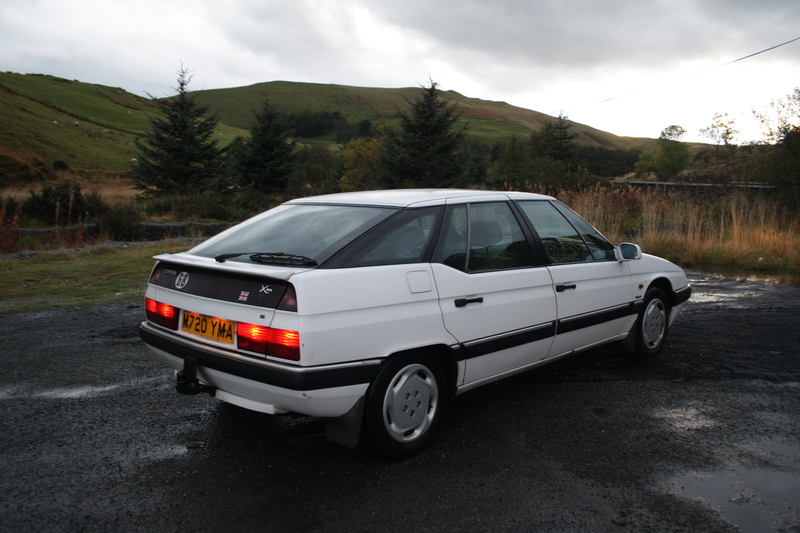 But once the road opens up, the XM lopes along in such a marvellous manner that for now, while the New Car Buzz is strong, I can ignore minor issues. I don’t even find the XM’s notoriously poor headlamps an issue. Yeah, they’re not brilliant, but main beam is pretty good, and I use that a lot here in rural Wales. My £375 spaceship. I’m dead chuffed! So far, my efforts with the car have mainly involved washing it and trying to get rid of the horrible smell inside. I shall provide running reports as I go. How will this pan out? This could be interesting, I’ve always fancied a xm they just look so 90’s and quirky. Brings back memories of when I briefly owned a GS when I passed my test back in 1986. That car glided over bump’s and was mesmerising with my friends when I could lift the suspension up like some 4×4. I will be reading with interest on your updates. Welcome top the fold. I came to XMs about six or seven years ago and have spent most of that time trying to find the ideal one. The only engine I have not tried is the TCT and I have owned both manual and auto. I wasn’t keen on the manual because of the parking brake which made my first drive in it through central London more complicated than it needed to be. With an auto, all that juggling of hands and feet disappears. With a manual though, you do get a better all round deal especiallly in the 2.1 – or so many believe. I have now settled on a slightly scruffy 24 valve petrol as my model of choice and I love it. I regularly travel from Darlington to the Cotswolds and there is no better way to do it; at legal speeds it will return over 35mpg on that run. Around town it is more eye watering, but that is not what I bought it to do. Of the four XMs I’ve driven this year, the V6 was undoubtedly my favourite. Should I find myself in a position to live with the fuel bills (actually not that much worse than the Rover) I’ll definitely have one.